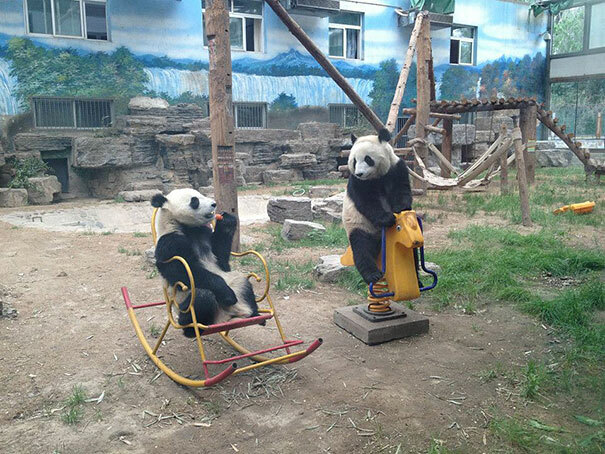 It is very entertaining picture of giant pandas which are playing with child’s swings. 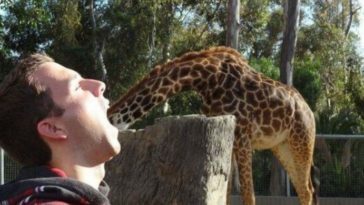 Giant pandas usually live in china and 99% eat bamboo. Picture shows that alike a human’s child one of giant panda ride on a spring horse and other giant panda sitting on a moveable chair also both the pandas looking to each other which seems that both of them talking to each other.